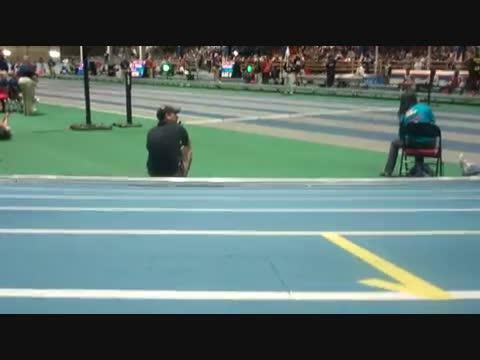 BOISE, Idaho - It wasn't the result that Estefany Cruz wanted, but the freshman was able to represent the Tulane Track and Field program at the NCAA Indoor National Championships on Saturday evening at the Jackson Indoor Track in Boise, Idaho. NAMPA, Idaho - The No. 3-ranked Lady Tigers lived up to their billing as a trophy team at this year's NCAA Division I Indoor Track & Field Championships while wrapping up the competition with the gold-medal winning run in the 4x400-meter relay on Saturday to take third place in the final team standings for the two-day meet held this weekend at the Jacksons Indoor Track. NAMPA, Idaho – Jasmine Manuel further cemented her status as one of the more prolific triple jumpers in Ragin’ Cajuns Track and Field history on Saturday when she set the school indoor record for the fifth time in the past calendar year and placed fourth at the 2012 NCAA Indoor Championships held at Boise State’s Jackson Track at the Idaho Center. 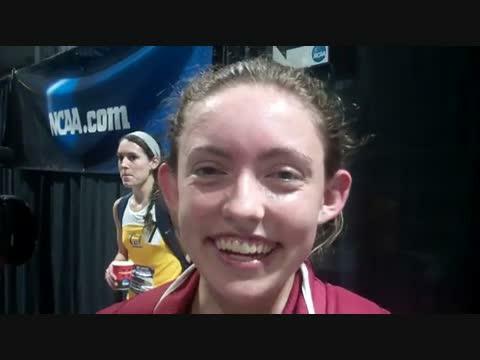 BOISE, Idaho - In the final indoor track and field competition of her career, Chelsea Hayes grabbed a pair of All-America honors and finished second in the long jump at the 2012 NCAA Indoor Championships at Jacksons Track in Boise Friday evening. 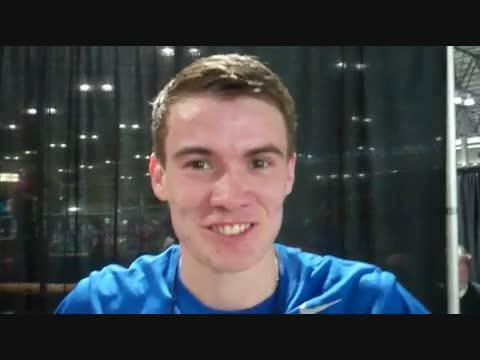 Chris O'Hare of Tulsa won the Mile with 4:01. Samford senior Michael Seaman competed at the NCAA Indoor Championships Friday, placing sixth in the men's pole vault, clearing 17-8.5 (5.40m). Freshman Octavious Freeman (200M) and junior Sonnisha Williams (Long Jump) claimed All-America distinction Friday evening at the NCAA Indoor Track and Field Championships. 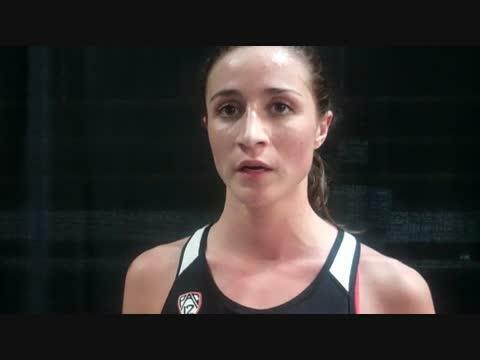 University of Cincinnati senior Kathy Klump qualified for the 800 meter final Saturday and two other Bearcats were in action Friday on the opening day of the 2012 NCAA Indoor Track & Field Championships at Boise State University's Jacksons Track at the Idaho Center in Nampa, Idaho. 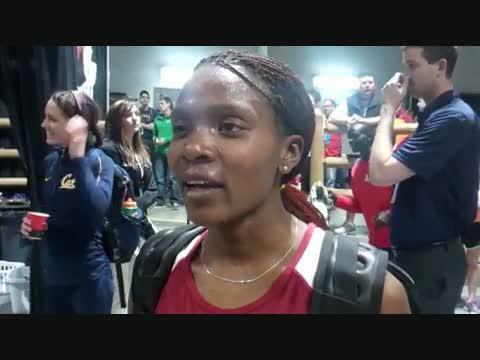 University of Louisville track and field student-athletes Amashi Kendall and Michelle Theophille completed their indoor seasons at the NCAA Indoor Championships by earning second team All-America honors late Friday evening at Jacksons Indoor Track in Nampa, Idaho, on the campus of Boise State University. 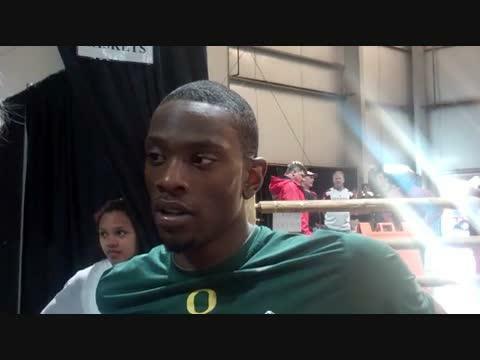 Berry placed third in the 400M for the Ducks. Ryan, only a freshman, placed fifth in the Shot Put against strong competition. 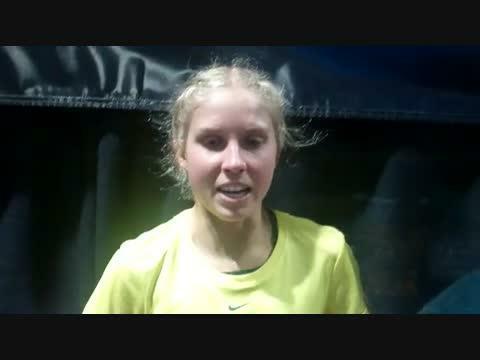 Brienne won the Pentathlon again this year providing ten valuable points for the Ducks. 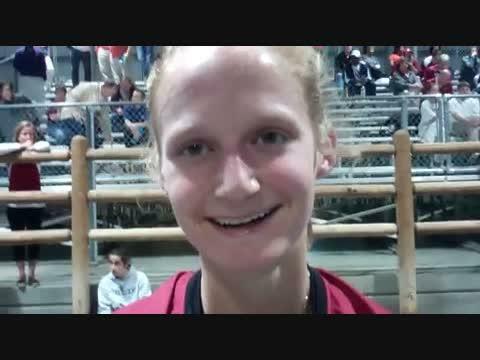 Laura ran the Mile to become the first Oregon State qualifier in school history. Sran 4:46. Francine Simpson and Andrea Geubelle earned Kansas' first points in the long jump Friday at the NCAA Indoor Track & Field Championships. Simpson took sixth while Geubelle finished eighth in the event to combine for four points. Each will likely be first team All-American selections. 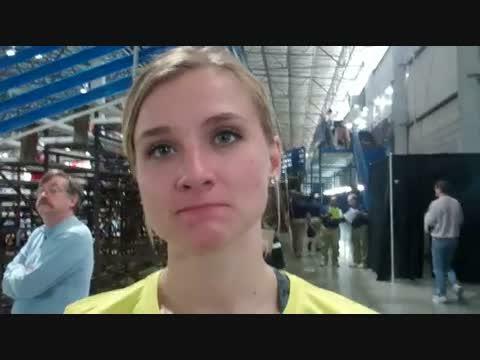 University of Kentucky senior Terri-Ann Grant cleared a mark of 1.78m/5-10.00 in the women's high jump Friday, and finished ninth at the NCAA Championships held at the Jacksons Indoor Track in Nampa, Idaho. Saina won the women's 5K. 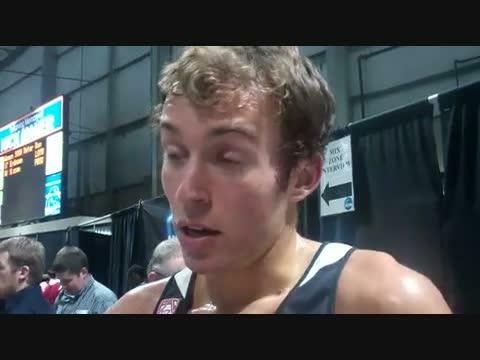 The Florida State men are tied for eighth after opening day at NCAA Indoor Track & Field Championships. Amy Harris places seventh in the long jump for the women. 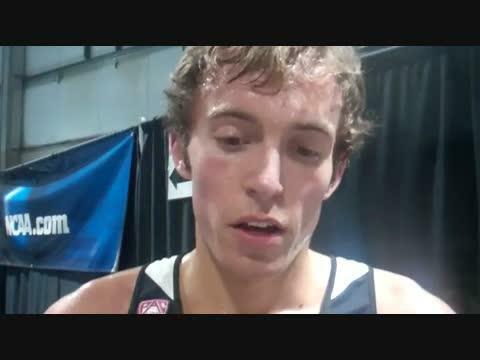 Maier placed second in the 5K and later was second in the 3K. The men's distance medley relay team of Johnathan Shawel, Chris Giesting, Randall Babb and Jeremy Rae etched their name in Notre Dame track and field history on Friday night at the NCAA Indoor Track and Field Championships in Nampa, Idaho, as the foursome brought home the school's first indoor relay title, finishing in 9:35.48. 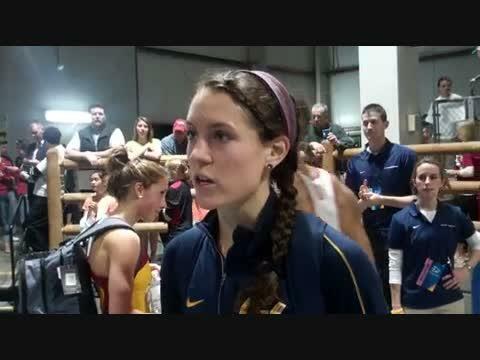 Sara Sutherland broke the school record in the 5,000m run to finish fifth, a record that stood since 1989. Head coach Wes Kittley On Bryce Lamb's performance: "I'm so proud of him because he jump 26-feet at the beginning of the year and really hadn't even had an opportunity, he hasn't been able to train, we rested him during conference, and to have him come in here with not competition in the last month and come in fourth, I'm really proud of that."